NEWS ANALYSIS: Norway’s farmers are set to get another NOK 215 million on top of the initial NOK 410 million offered by the government after this year’s rounds of subsidy negotiations. Some critical voices have been rising, though, and speaking out against Norway’s agricultural policy traditions. It wasn’t just the country’s conservative government coalition that wanted to rein in the farmers and slash their demands for ever more government and taxpayer support. 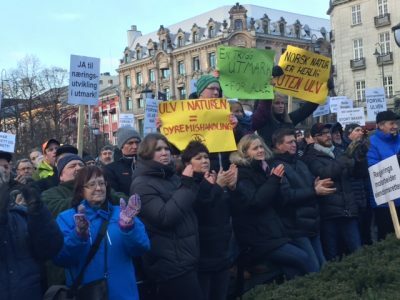 Over the past few years, various politicians, commentators and even some farmers themselves have been criticizing Norway’s powerful farm lobbying organizations that mobilize noisy demonstrations year after year when they don’t get what they want in terms of direct subsidy and import tariff protection. Aftenposten noted even then that the farmers’ demands would have amounted to pay raises of 12.7 percent, according to the Norwegian institute for agricultural economic research (NILF). Farm revenues rose by 88.6 percent from 2006 to 2014 and both production and revenues have jumped since then. Nord-Varhaug has also criticized the farmers’ demands in his local newspaper, Stavanger Aftenblad, and received far more support and fewer negative reactions from other farmers than he’d expected. Some even praised the government at the time, for its efforts to cut bureaucratic paperwork. Farmer Didrik Fasmer in Bergen was among them, saying he’d rather spend more of his time tending to his cattle and horses than grappling with various support programs and regulations. Now, after the opposition Center and Labour parties failed to win agreement on subsidies and support for farmers after the government lacked support for its offer, the Liberal Party has proposed a compromise that the two conservative government parties will go along with, giving them a slim but sufficient majority in Parliament to settle the annual farmers’ uproar once again. Liberals leader Trine Schei Grande proposes a settlement worth NOK 625 million (as opposed to the NOK 1.45 billion demanded by the farmers) that stresses more aid to small farms, support for open grazing to keep vegetation in check, and more ecological farming. The Conservatives and the Progress Party gulped but have accepted the Liberals’ framework: “This is a very good settlement seen with our eyes, and a good settlement for the farmers,” Morten Ørsal Johansen of the Progress Party told newspaper Dagsavisen this week. It means the new settlement (which Agricultural Minister Jon Georg Dale of the Progress Party had already sweetened to NOK 550 million) is now likely to be voted on and approved before Parliament recesses for the summer. Opposition parties wanted to give the farmers NOK 790 million in financial support and protection, but still don’t have a majority for that. Commentator Claes Arvidsson has written that self-sufficiency in Norway is part of the country’s folklore, and questions how and why the government winds up negotiating pay within part of what’s still officially the private sector. Market regulation that left Norway with a butter shortage a few years ago, gluts of meat that prompted some of it to be dumped in Eastern Europe and subsequent shortages of beef and pork during the summer barbecue season, is “Kafka-esque,” he wrote in Aftenposten. There are historic reasons that farmers have received special treatment over the years in Norway. The country’s small percentage of land suited for agriculture, its wintry climate and (until climate change has started kicking in) a short growing season has justified support for farmers, also to maintain population in remote areas and help bolster livelihoods in the districts. Arvidsson argues, however, that the support programs are rooted “in another time,” and that nostalgia and mythology play a role when they’re upheld at present. There’s little danger now, however, that Norway won’t be able to produce enough milk, eggs and other basics to feed its population. Food production this year is higher than it’s ever been. Norwegians also generally accept paying much higher prices for their food at the grocery store than consumers do in other countries (86 percent higher than the EU average in 2014). 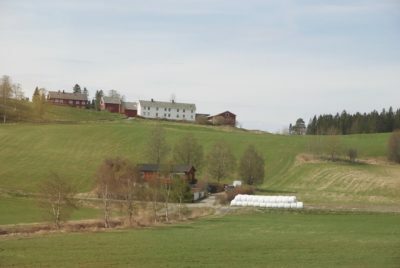 The farmers have little sympathy for complaints over the higher prices, claiming that Norwegians’ higher incomes offset any real affordability problems. The government has remained intent on forming policy based on the most efficient use of society’s resources. The total pricetag for Norway’s farming industry amounted to around NOK 15 billion in subsidy and NOK 9 billion worth of import protection three years ago. It’s higher now, even though the EU and OECD have warned that Norway already was a world leader in support programs. That’s not popular internationally because it threatens free trade, while Norwegian consumers get a poorer selection at the market. Tariffs on imported cheese and tomatoes, for example, keep better products out of the Norwegian market to protect lower-quality national ones. Another annual farming settlement is now almost in the box, though, amidst prospects for the same procedure next year. Norway’s conservative government, up for re-election in a tough campaign ahead, claims it has pushed through the greatest agriculture reforms ever. It’s up to voters whether such attempts will continue, or whether the farmer-friendly Center Party will win enough support to rule with the Labour Party, and reverse reforms. The farmers can’t rule out an eventual consumer rebellion, though, or the opinions of the next generation. “The farmers’ settlements make me nauseous,” wrote one teenager living in the rural district of Hadeland in Aftenposten recently. “They steer most things here,” the teenager claimed, from politics (“by pressuring elected officials until they get their way”) to the forests, (“by protesting against those of us who want diversity in nature.”) The young rural resident, who remained anonymous, claimed that farmers “have built themselves an empire on false premises, paid for by you and me.” If more teenagers in Norway feel the same, the years of farmers’ settlements may well be numbered.